Zaner Bloser. PAPERBACK. 0880858109 MULTIPLE COPIES AVAILABLE LIKE NEW - NEVER ISSUED-MAY HAVE SCHOOL STAMP, NUMBER, MINIMAL SHELF WEAR - EXPERIENCE AMAZING CUSTOMER SERVICE - WE SHIP DAILY . Fine. ZB. PAPERBACK. 0736757457 TEACHER EDITION LEVEL C GREEN COVER W/MULTI COLOR GUMBALLS- NEW-CRISP AND CLEAN - EXPERIENCE AMAZING CUSTOMER SERVICE - WE SHIP DAILY . New. Zaner-Bloser. Hardcover. 0736757414 USED VERY GOOD CONDITION MAY HAVE SLIGHT CORNER WEAR - MAY HAVE MINIMAL WRITING - EXPERIENCE AMAZING CUSTOMER SERVICE - WE SHIP DAILY . Very Good. Prentice Hall. Hardcover. 013362840X MULTIPLE GA EDITIONS USED VERY GOOD CONDITION MAY HAVE SLIGHT CORNER WEAR - MAY HAVE MINIMAL WRITING - EXPERIENCE AMAZING CUSTOMER SERVICE - WE SHIP DAILY . Very Good. Hardcover. 0133667308 MULTIPLE COPIES AVAILABLE RED COVER W/ASTRONAUT LIKE NEW - NEVER ISSUED-MAY HAVE SCHOOL STAMP, NUMBER, MINIMAL SHELF WEAR - EXPERIENCE AMAZING CUSTOMER SERVICE - WE SHIP DAILY . Fine. GLOBE. PAPERBACK. 0835902536 MULTIPLE COPIES AVAILABLE NEW - EXPERIENCE AMAZING CUSTOMER SERVICE - WE SHIP DAILY . New. STECK-VAUGHN. PAPERBACK. 0739828363 LIKE NEW -INCLUDES TEST PREPARATION STRATEGIES - NEVER ISSUED-MAY HAVE SCHOOL STAMP, NUMBER, MINIMAL SHELF WEAR - EXPERIENCE AMAZING CUSTOMER SERVICE - WE SHIP DAILY . Fine. AGS Secondary. Hardcover. 0785421831 PAPERCOVER TEACHER EDITION USED VERY GOOD CONDITION MAY HAVE SLIGHT CORNER WEAR - MAY HAVE MINIMAL WRITING - EXPERIENCE AMAZING CUSTOMER SERVICE - WE SHIP DAILY . Very Good. PRENTICE HALL. Hardcover. 0130625604 MULTIPLE COPIES AVAILABLE USED VERY GOOD CONDITION MAY HAVE SLIGHT CORNER WEAR - MAY HAVE MINIMAL WRITING - EXPERIENCE AMAZING CUSTOMER SERVICE - WE SHIP DAILY . Very Good. AGS Secondary. Hardcover. 0785422226 TEACHER EDITION LIKE NEW - NEVER ISSUED-MAY HAVE SCHOOL STAMP, NUMBER, MINIMAL SHELF WEAR - EXPERIENCE AMAZING CUSTOMER SERVICE - WE SHIP DAILY . Fine. AGS Secondary. PAPERBACK. 0785422242 MULTIPLE COPIES AVAILABLE LIKE NEW - NEVER ISSUED-MAY HAVE SCHOOL STAMP, NUMBER, MINIMAL SHELF WEAR - EXPERIENCE AMAZING CUSTOMER SERVICE - WE SHIP DAILY . Fine. PEARSON. PAPERBACK. 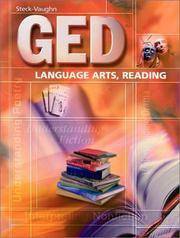 0132030993 MULTIPLE COPIES GEORGIA CRCT TEST PREPARATION WORKBOOK GRADE 8 RED/PRENTICE HALL MATH MULTIPLE COPIES AVAILABLE NEW-CRISP AND CLEAN - EXPERIENCE AMAZING CUSTOMER SERVICE - WE SHIP DAILY . New. 2007. FEARON. Hardcover. 0130233137 USED VERY GOOD CONDITION MAY HAVE SLIGHT CORNER WEAR - MAY HAVE MINIMAL WRITING - EXPERIENCE AMAZING CUSTOMER SERVICE - WE SHIP DAILY . Very Good. FEARON. Hardcover. 0835935574 LIKE NEW - NEVER ISSUED-MAY HAVE SCHOOL STAMP, NUMBER, MINIMAL SHELF WEAR - EXPERIENCE AMAZING CUSTOMER SERVICE - WE SHIP DAILY . Fine. FEARON. Hardcover. 0835935574 USED VERY GOOD CONDITION MAY HAVE SLIGHT CORNER WEAR - MAY HAVE MINIMAL WRITING - EXPERIENCE AMAZING CUSTOMER SERVICE - WE SHIP DAILY . Very Good. FEARON. Hardcover. 0130233609 TEACHERS ANSWER EDITION USED VERY GOOD CONDITION MAY HAVE SLIGHT CORNER WEAR - MAY HAVE MINIMAL WRITING - EXPERIENCE AMAZING CUSTOMER SERVICE - WE SHIP DAILY . Very Good. GLOBE. Hardcover. 0835922405 MULTIPLE COPIES AVAILABLE- LIKE NEW CONDITION - MAY HAVE MINIMAL SHELF WEAR - EXPERIENCE AMAZING CUSTOMER SERVICE - WE SHIP DAILY . Fine. GLOBE. Hardcover. 0835922405 MULTIPLE COPIES AVAILABLE- VERY GOOD USED CONDITION - SOME COVER AND CORNER WEAR - MAY HAVE MINIMAL WRITING - EXPERIENCE AMAZING CUSTOMER SERVICE - WE SHIP DAILY . Very Good. GLOBE. PAPERBACK. 0835922502 MULTIPLE COPIES AVAILABLE- LIKE NEW CONDITION - MAY HAVE MINIMAL SHELF WEAR - EXPERIENCE AMAZING CUSTOMER SERVICE - WE SHIP DAILY . Fine. GF CONCEPTS AND CHALLENGES EARTH SCIENCE SE REVISED THIRD EDITION 1998C. GLOBE. Hardcover. 0835922413 MULTIPLE COPIES USED VERY GOOD CONDITION MAY HAVE SLIGHT CORNER WEAR - MAY HAVE MINIMAL WRITING - EXPERIENCE AMAZING CUSTOMER SERVICE - WE SHIP DAILY . Very Good.